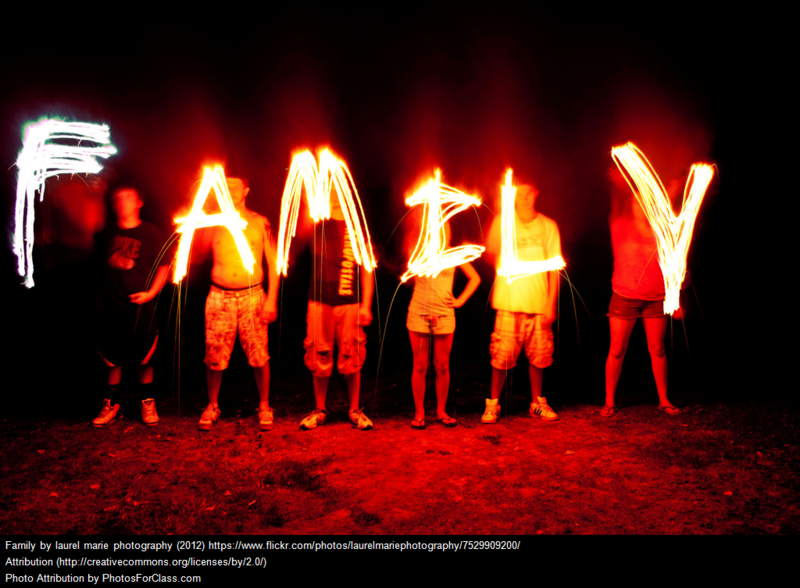 All My Ed Week Posts On Parent Engagement In One Place! 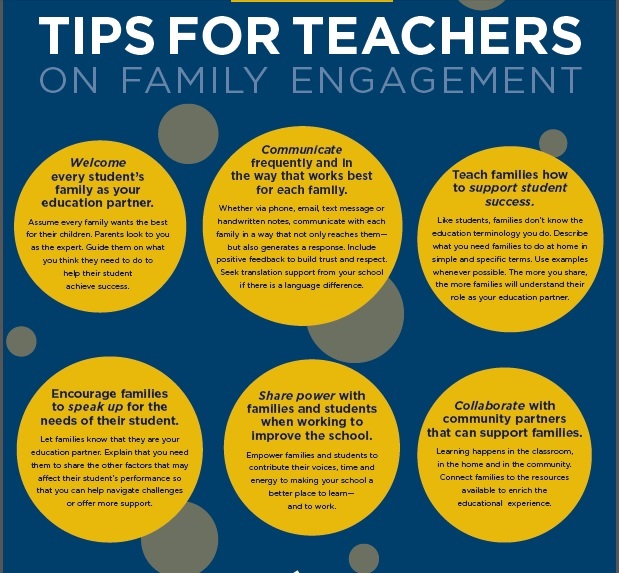 I have a fairly popular post titled The Best Sources Of Parent Engagement Advice For Teachers. I thought it would be useful to put together a different list focusing specially on advice to teachers on this topic related the beginning of a new school year. 7 Questions to Ask Parents at the Beginning of the Year is by Elena Aguilar. I’m adding this post to my Collection Of “The Best…” Lists On Parent Engagement. Conditional Cash Transfers are payments made to families to encourage them to do things like go to doctor appointments, and to children for increased school attendance and higher standardized test scores, and have been in the news lately. I’m adding this post to my collection of other “Best” lists on parent engagement. I Don’t Think Fining Parents For Taking Students Out Of School For A Week’s Vacation Is The Best Idea…. I’ve shared a number of reports on a recent Migration Policy Institute report on engaging immigrant parents. I don’t think it shares anything that is particularly new to educators who work with immigrant students and their families, but it does bring a lot of useful information together in one place. Building on Immigrants’ Strengths to Improve Their Children’s Early Education is by Conor Williams. Both NPR and Ed Week published pieces detailing the report. The barriers keeping immigrant parents from getting involved in their kids’ education is the headline of a Vox article on the recent Migration Policy Institute report. But the report doesn’t mention the elephant in the room: it’s harder for unauthorized immigrant parents to get engaged in their kids’ educations. When parents are worried that any contact with a government employee will lead to their deportation, they’re much less likely to show up to parent-teacher conferences or have long talks with Head Start supervisors. That’s especially true when schools make an effort to make unauthorized immigrant parents feel unwelcome, by requiring them to get fingerprinted or show legal ID when they arrive at the school. And it can be exacerbated when federal immigration agents wait outside schools so that they can arrest parents after they’ve dropped off their children. 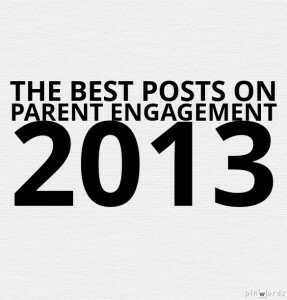 I’ll add this “Best” list to my other parent engagement-related ones. The topic of increasing the involvement of fathers in schools has been garnering some attention lately, and I thought I’d bring together some of the previous posts on the topic together. I was prompted to do so by today’s article in The Washington Post, Schools roll out the red carpet for dads who volunteer. Coincidentally, I believe tonight’s #PTchat on Twitter was on this same subject, and I’ll a link to its transcript when it becomes available (here it is). Prince George’s to discuss how to increase the number of fathers involved in education is an article in The Washington Post. Dads becoming more involved in their children’s education is a nice article in the Miami Herald that also links to other related pieces. ‘Men Make a Difference’ in Prince George’s County schools is a nice article in The Washington Post. Malik Shakur said he was so inspired by the participation at the Prince George’s County School System’s annual “Men Make a Difference Day” on Monday that he is seriously considering joining the PTSA at his son’s school, John Hanson Montessori School in Oxon Hill. Shakur, an attorney who is scheduled to be in court later this week, said he planned to clear his calendar after learning during the event that the school was hosting a career day on Friday. Shakur was one of about 125 fathers, uncles, grandfathers, and others at John Hanson who participated in the annual countywide event, which brings fathers and other male role models into the classroom to promote parental involvement in public schools. Father-figure engagement making difference at Tahoe elementary school is the headline of a short article in a local California newspaper about a father-involvement program. What’s intriguing about it is that it is apparently part of a national program promoting father-involvement in schools called Watch D.O.G.S. from The National Center For Fathering. I have heard of neither the program or the Center, but they sound helpful. Let me know what you know about them. I’ll be adding this list to A Collection Of “The Best…” Lists On Parent Engagement. 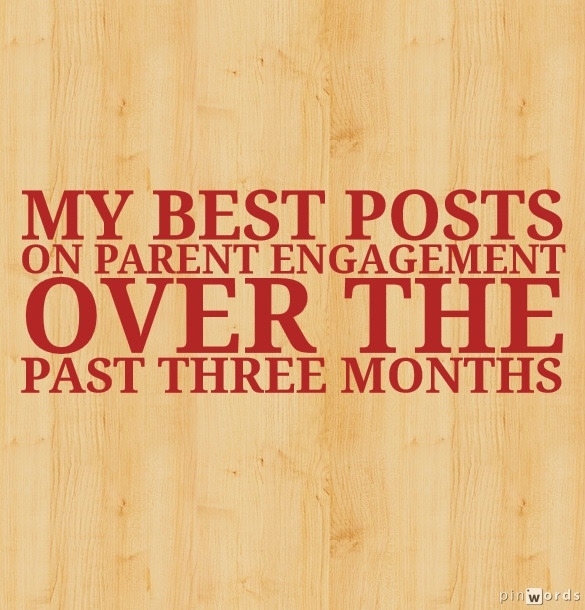 I thought readers, and I, would find it useful to review and list my choices for the best posts on parent engagement I’ve written since I posted My Best Posts On Parent Engagement In 2013 three months ago. 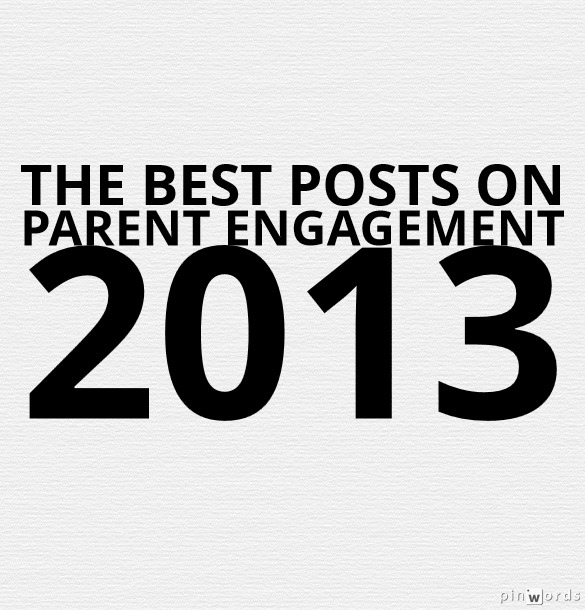 You can also see all my “Best” lists related to parent engagement here. I’ve written several posts about the inBloom data fiasco — inBloom is the company that’s basically trying to collect, store and share student data and is supported by the Gates Foundation. Where inBloom Wilted is from Ed Surge. Irate Parents Fight to Keep Information on Their Kids Private is the headline of an article about an effort to create a national student data base with inBloom. “But the main issue is this: No one consulted parents as to whether they wanted their child’s data collected or stored this way, just as no one asked them if they wanted their children to be tested to the degree they are,” Naison [Mark Naison, a professor at Fordham University]said. Deciding Who Sees Students’ Data is a fairly lengthy article in The New York Times about the inBloom data collection system. Yet, for all of inBloom’s neutral-sounding intentions, industry analysts say it has stirred some parents’ fears about the potential for mass-scale surveillance of students. Parents like Rachael Stickland, a mother of two Jeffco students, say that schools are amassing increasing amounts of information about K-12 students with little proof that it will foster their critical thinking or improve their graduation rates. Your child’s data is stored in the cloud is a new article at CNN about the inBloom data collection system. Streichenberger says inBloom is providing the “plumbing” to fix school districts’ currently disjointed systems. School districts control the data, though they may share that information with third-parties if they choose. That promise has offered little comfort to many parents in school districts that use inBloom. Some parents in those districts feel that there’s not enough transparency around the data platform, what data will be stored, and who will have access to it. InBloom says it’s up to the states to determine what data is stored and whether parents have access. Sprowal says parents were not adequately notified before her son’s school district started loading data on to the platform. inBloom lost its only remaining customer when New York State withdrew from it. New York has reversed course to use an Atlanta-based company to store student data for parents and officials to use to track student progress, after the plan triggered privacy concerns and a legal challenge…. “We will not store any student data with inBloom, and we have directed inBloom to securely delete all the non-identifiable data that has been stored,” a statement Wednesday from state Education Department spokesman Dennis Tomkins said. InBloom was founded in 2013 with $100 million in grant money from the Bill and Melinda Gates Foundation and the Carnegie Corp. The technology drew early interest from several states, but New York was the only one fully involved. The Hechinger Report has since written a thorough obituary of inBloom, The fate of big data after inBloom. I’ve chronicled the ongoing fiasco of the Gates Foundation-founded-and-financed inBloom student data-vacuuming service called inBloom. As usual, these guys never bothered asking parents and teachers what they thought before they initiated their bright idea and, now that they announced its dissolution, they’re blaming everybody but themselves and their funders. InBloom Student Data Repository to Close is from The New York Times. inBloom to Shut Down Amid Growing Data-Privacy Concerns is from Education Week. I’m adding this list to A Collection Of “The Best…” Lists On Parent Engagement. , President Obama announced grants to five communities designated at “Promise Zones” that are planned to replicate — more or less — the Harlem Children’s Zone. I’ve published many posts about the Harlem Children’s Zone — both positive and less than positive — including concerns about parent engagement and how they relate to local institutions. Though I don’t know all the specifics of these five new communities, it will be interesting to see how genuinely involved parents are in their efforts. What Exactly Do Obama’s Zones Have to Do With Education, Anyway? is from Ed Week, and is a must-read. President Obama Unfurls a New Place-Based Program: Promise Zones is from Non-Profit Quarterly. Obama Administration Announces the First Five Promise Zone Designees is from the US Department of Agriculture. Eight southeastern Kentucky counties named “Promise Zone” by President Barack Obama is from the Courier-Journal. I’ll add list to my collection of other parent engagement related ones…. I have an extensive “Best” list at my other blog titled A Very, Very Beginning List Of The Best Resources On Bullying. In addition, I’ve published several posts in this blog about bullying resources specifically for parents, and thought bringing them together in one list would be useful. You can find all my parent “Best” lists here. The BBC has published What should you do if your child is ‘the bully’? What to do if your child is accused of being a bully is from the Milwaukee Journal Sentinel, and offers pretty decent advice. If a Child Is Bullied, Parents Offer Advice on When and How to Intervene is a useful piece in The New York Times, and don’t neglect reading the comments. Bullying is parents’ big fear as children start secondary school, survey finds is an article in the Guardian reporting on a recent survey. Busting parents won’t stop cyberbullies, experts say is from NBC News. Legal sanctions imposed on parents could pit the child against the parents, Hinduja added. “The child will be in trouble even further, perhaps for getting the parent into trouble,” he said. Even the most well-intentioned parents cannot police their kids’ social-networking habits around the clock, said Tina Meier, whose 13-year-old daughter Megan committed suicide in 2006 after allegedly being hoaxed and bullied on the social network MySpace by Lori Drew, the mother of one of Megan’s former friends. Drew was found guilty by a federal jury of three computer-crime misdemeanors. In 2009, a federal judge vacated the conviction. There are many parents “who truly simply don’t know about it, or who are really trying (to monitor their children’s computer use),” Meier told NBC News. Casey M., a 17-year-old Internet safety advocate from New Rochelle, N.Y., feels indicting parents for their kids’ online bullying acts will have “an inverse effect” and increase online tormenting. Casey M. is part of the national Teen Angels campaign, which speaks to parents and teenagers about Internet safety and cyberbullying. Group members don’t use their last names when speaking with the media. Yes, parents need support and encouragement to monitor and teach their children. I just get very uncomfortable with the emphasis on punishing parents. I’ve previously posted about a number of instances where public officials seem to want to use that as their main strategy to encourage parent involvement — it’s certainly easier than the slow process of building relationships, spending time on encouragement, and leading with our ears instead of our mouths…. Anti-Bullying from the Parent’s Perspective is a useful post from Think Inclusive. How Do I Know What’s Bullying and What’s Normal Conflict? is a useful article from The New York Times. Come On, Now – Schools Giving “Stamps” For Each Parent Involvement Activity? Hmmm, Why Don’t I Have Much Confidence In Chicago Superintendent’s Parent Engagement Plan? What Is It With School District Attorneys This Week? Wow, The Second “Must-Read” Parent Engagement Study In A Week! Excellent Article On Teachers Making Home Visits — & It Features Our School! 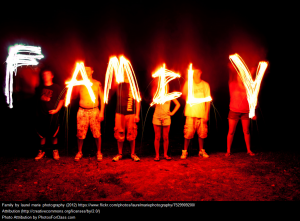 Learning Parent Engagement Lessons From…The Ritz-Carlton Hotel? There has recently been a flurry of media attention to what is called the so-called “word gap.” It’s the term used to describe the difference in vocabulary development of low-income children and middle-and-high-income children during their pre-school years. I’d say the best piece that talks about the issue has been written by Esther Quintero at The Albert Shanker Institute. It’s titled The ‘early language gap’ is about more than words. Could Providence’s Word Counting Project Be A “Boondoggle” As Well As Being Creepy? Too Small To Fail is a project that Hillary Clinton has begun. The 32-Million Word Gap is by David Shenk. More Effective, Less Expensive, Still Controversial: Maximizing Vocabulary Growth In Early Childhood is from The Shanker Blog. Can We Disrupt Poverty by Changing How Poor Parents Talk to Their Kids? is from The Atlantic. We Need a Nuremberg Code for Big Data is from Slate. More non-profits teaching parents to read with children is a post at Ed Source describing programs helping parents to get their children reading early and the research behind the efforts. Hillary Clinton spoke to a friendly crowd at Oakland’s UCSF Benioff Children’s Hospital on Wednesday about her new campaign (no, not that one) to get parents to spend more time talking, singing and reading to their young children. Oakland will be the second city – the first was Tulsa, Oklahoma – to receive a concentrated dose of messaging about the importance of verbally engaging infants and toddlers. As part of the “Talking is Teaching: Talk Read Sing” campaign, residents can expect a multimedia campaign featuring television commercials, a radio spot, billboards and bus station ads. Local retailer Oaklandish will also be launching a new clothing line for babies that includes onesies that read, “Let’s talk about hands and feet,” and baby blankets proclaiming, “Let’s talk about bedtime.” For every item purchased, Oaklandish will donate one item to a family in need. Importance of talking to infants now on TV is the headline of a blog post at Ed Source. Quality of Words, Not Quantity, Is Crucial to Language Skills, Study Finds is from The New York Times. Poor Kids Are Starving for Words is from The Atlantic. Stop blaming poor parents for their children’s vocabulary is a must-read article by Paul Thomas at The Conversation. To Help Language Skills of Children, a Study Finds, Text Their Parents With Tips is the headline of a New York Times article about a new study. It found that sending text messages to parents of very young children (like “Let your child hold the book. Ask what it is about. Follow the words with your finger as you read”) were more advanced academically than those whose parents did not receive them. 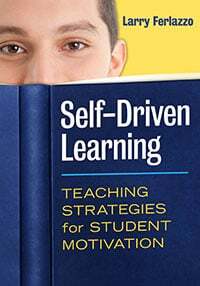 I thought that was interesting, particularly since another study that I’ve posted about in my other blog where adolescent students received encouraging texts was deemed a failure (I don’t have time right now to find that link but will add it later). Perhaps parents of very young children are in a more motivated frame of mind? I wonder how this experiment would work with parents of older children? The New Work of Words is a lengthy article in The Atlantic about…words. I’m sharing it here because the first quarter has an interesting perspective on The Word Gap. How do you make a baby smart? Word by word, a Chicago project says is the headline of an article at The Hechinger Report. Key to Vocabulary Gap Is Quality of Conversation, Not Dearth of Words is the headline of an Ed Week article by Sarah Sparks. The “30 million-word” gap is arguably the most famous but least significant part of a landmark study, Meaningful Differences in the Everyday Experiences of Young Children, by the late University of Kansas child psychologists Betty Hart and Todd R. Risley. As the work turns 20 this year, new research and more advanced measuring techniques have cast new light on long-overshadowed, and more nuanced, findings about exactly how adult interactions with infants and young children shape their early language development. Back-and-forth exchanges boost children’s brain response to language is from Science Daily. Does The “Word Gap” Really Exist? Let’s Stop Talking About The ’30 Million Word Gap’ is from NPR. It’s time to move beyond the word gap is from Brookings. The “Debunking” of Hart & Risley and How We Use Science is by Daniel Willingham. 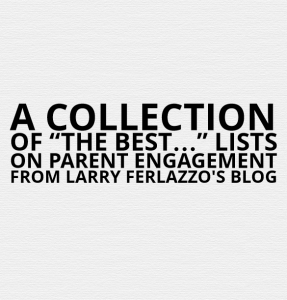 You can see all my parent-related “Best” lists at A Collection Of “The Best…” Lists On Parent Engagement. Here’s a short and sweet list on topic, and I hope others will suggest additional links. I’ll be adding list to A Collection Of “The Best…” Lists On Parent Engagement. Parent Jiggernaut Follow-Up: Opting out vs. Opting In is a thoughtful post by Rachel Levy. Wary of standardized testing, parents are increasingly opting their kids out of exams is from The Washington Post. “Parents sign petition against use of FCAT” is the headline of a Miami Herald article. The petition, gaining traction in parts of Florida and around the country, urges education administrators to rely less on standardized tests and use other measures to evaluate students, schools and teachers. Charlotte-Mecklenburg Public Schools has instituted 52 new standardized tests, and parents are up in arms about it. You can read about it in The Washington Post at School district field-tests 52 (yes, 52) new tests on kids. You can also visit the website of the parents group organizing against them — Mecklenburg ACTS. ‘What we’ve got here is failure to communicate’ is an excellent post by Carol Burris in The Washington Post. It is all seen as just a failure to communicate. And therein lies the problem. The focus on communication, rather than on a response to concerns, demonstrates a lack of faith in the ability of parents and teachers to understand what is occurring. Parents understand the high-stakes testing rationale. They just don’t buy it. The interpretation of grassroots parental opposition as a “communication failure” communicates arrogance. It is the ultimate “nanny state” response—you do not understand what we know, and what we know and do are best for you. Turn On, Tune In, Opt Out is an article in The Nation about the growing popularity of efforts by parents to have their children “opt-out” of taking standardized tests. When Parents Yank Their Kids Out of Standardized Tests is an article in the Atlantic, by Alexander Russo, that gives a good overview of the “opt-out” movement. The Defiant Parents: Testing’s Discontents is an excellent piece in The New Yorker. Most States Lack Opt-Out Policies – But Parents Find A Way is a very interesting and useful post by Alexander Russo. The post gives a very good overview of state laws on “opting out” of standardized tests. It appears that some schools are making it very difficult for parents to “opt-out” of standardized testing for their child. I’m not sure if this attitude is the best one to take to further parent engagement…. Read about what’s happening in Colorado and in Chicago. Standing Up to Testing is a New York Times article on parents opting their students out of standardized testing in New York City. This movement of refusal does not evolve out of antipathy toward rigor and seriousness, as critics enjoy suggesting, but rather out of advocacy for more comprehensive forms of assessment and a depth of intellectual experience that test-driven pedagogy rarely allows. In the past year, the movement has grown considerably among parents and educators, across political classifications and demographics. The above quotation is from Jose Luis Vilson, who contributed to the New York Times “Room For Debate” forum on Should Parents Opt Out of Testing? Check out his full contribution and comments from others. The Middle Ground Between Opt Out And All In is a very thoughtful post by Matthew Di Carlo at The Shanker Blog. Thanks to Bill Ferriter, I’ve learned about a Georgia school district who had a police officer tell parents who were opting out of state tests that they would and their children would be trespassing if they were on school grounds during the testing and then threatened to ban their kids from a field trip because of their actions. Read Area couple battles elementary school over CRCT testing. when it comes to “opting out,” what’s important to me is the idea that you don’t have to agree with its proponents’ solution to acknowledge that they may be correct about the existence of a problem. There are good and bad policy applications happening right now, and it’s important to address the bad ones and build on the good ones. which tests students more frequently than most other states, many schools this year will dedicate on average 60 to 80 days out of the 180-day school year to standardized testing. In a few districts, tests were scheduled to be given every day to at least some students. Want your kids to opt out of standardized tests? The Constitution may be with you. is the headline of a useful Washington Post article. As Common Core Testing Is Ushered In, Parents and Students Opt Out is an article in The New York Times. A new wave of standardized exams, designed to assess whether students are learning in step with the Common Core standards, is sweeping the country, arriving in classrooms and entering the cross hairs of various political movements. In New Jersey and elsewhere, the arrival has been marked with well-organized opposition, a spate of television attack ads and a cascade of parental anxiety. Almost every state has an “opt out” movement. While its true size is hard to gauge, the protests on Facebook, at school board meetings and in more creative venues — including screenings of anti-testing documentaries — have caught the attention of education officials. The Washington Post has published an article headlined Some parents across the country are revolting against standardized testing. A growing number of parents are refusing to let their children take standardized tests this year, arguing that civil disobedience is the best way to change what they say is a destructive overemphasis on tests in the nation’s public schools. Thousands of Kids Opt Out of Standardized Common Core Tests Across U.S. is the headline for an article in TIME. This “opt-out” movement remains scattered but is growing fast in some parts of the country. Some superintendents in New York are reporting that 60 percent or even 70 percent of their students are refusing to sit for the exams. Some lawmakers, sensing a tipping point, are backing the parents and teachers who complain about standardized testing. 20% of New York State Students Opted Out of Standardized Tests This Year is from The New York Times. I’m no big fan of the Common Core Standards, but they are a reality for most of us. How Educators Can Address Parents’ Confusion About Common Core is from Mind/Shift. Common Core for ELLs: Ten things parents should know about the Common Core Standards is from Colorin Colorado. 5 Things Every Parent Needs to Know About The Common Core is from The American Enterprise Institute. What Parents Need to Know About Common Core State Standards is from Reading Rockets. Spotlight on the Common Core State Standards – What Do Parents Need to Know? is from Education Northwest. In Push For ‘Common’ Standards, Many Parents Left Uneducated comes from NPR. What Should Teachers Tell Parents About The Common Core? is a series of teacher-written commentaries at Education Week Teacher. A Lesson on the Common Core is a good short and sweat summary of the Common Core for parents. It’s by Jessica Lahey, and appeared in The New York Times. The official Common Core Standards site unveiled a new design in an effort to make it more accessible and understandable to parents. Learning First shared that the National PTA has released fourteen videos explaining Common Core to parents. You can find them all here. Common Core math can be a mystery, and parents are going to school to understand it is an article in the Washington Post describing efforts by different schools to help parents…understand Common Core math. Schools Teach Common-Core Math to Two Generations is an Education Week article discussing creative ways schools are helping parents learn about the new Common Core Math standards. Be A Learning Hero is a site/organization sponsored by a number of organizations, including the PTA and The Teaching Channel, that has many resources on how parents can support their children. It includes a number of materials on Common Core, particularly on understanding math changes. Parents try their hand at Common Core math is a useful article from Ed Source. It shares different strategies schools are using to introduce Common Core math to parents. 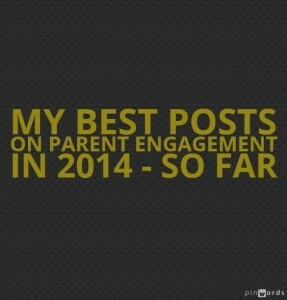 You can see all my parent engagement-related “Best” lists here. 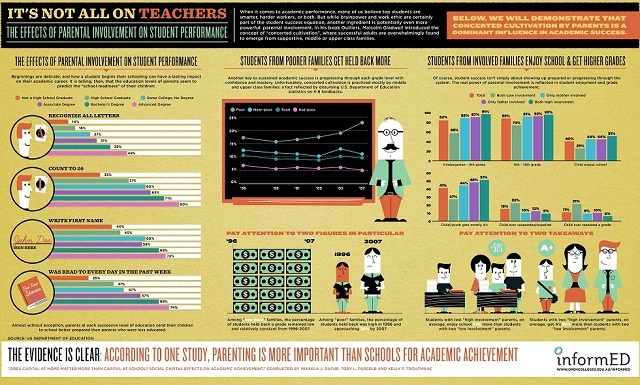 is a beginning list of the best infographics about parent involvement. 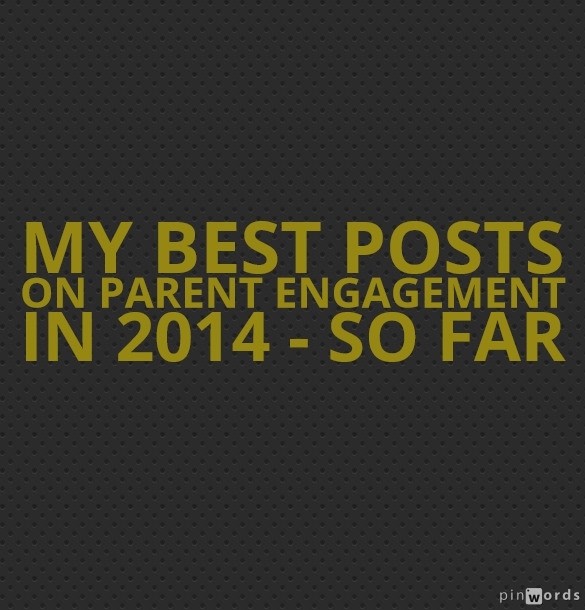 You can see all my parent involvement/engagement-related “Best” lists here. You can find a bigger version here. I’m going to add this infographic, but I hope a math teacher out there will tell me if it’s accurate or not….